God has been pleased to represent the anointing of the Holy Spirit under the emblem of oil. We have an account of the composition and use of the anointing oil in Exodus 30:22-33. "Moreover the Lord spake unto Moses, saying, Take thou also unto thee principal spices, of pure myrrh five hundred shekels, and of sweet cinnamon half so much, even two hundred' and fifty shekels, and of sweet calamus two hundred and fifty shekels, And of cassia live hundred shekels, after the shekel of the sanctuary, and of oil olive an hin: And thou shalt make it an oil of holy ointment, an ointment compound after the art of the apothecary: it shall be an holy anointing oil. "And thou shalt anoint the tabernacle of the congregation therewith, and the ark of the testimony, And the table and all his vessels, and the candlestick and his vessels, and the altar of incense, And the altar of burnt offering with all his vessels, and the laver and his foot. And thou shalt sanctify them, that they may be most holy: whatsoever toucheth them shall be holy. And thou shalt anoint Aaron and his sons, and consecrate them, that they may minister unto me in the priest's office. "And thou shalt speak unto the children of Israel, saying, This shall be an holy anointing oil unto me throughout your generations. Upon man's flesh shall it not be poured, neither shall ye make any other like It, after the composition of it: it is holy and it shall be holy unto you. Whosoever compoundeth any like it, or whosoever putteth any of it upon a stranger, shall even he cut off from his people." These various spices set forth the manifold operations of the Spirit, which corresponds in our souls with the operation of these spices upon our bodies. 1. The myrrh, which was noted for its healing virtues and power of extracting soreness from a wound, typifies the anointing of the Spirit, which takes out all soreness from the soul. The heart, in which the Comforter dwells, can receive all sorts of injuries and unkind treatment without getting sore or sour. The Spirit acts as a lubricating oil and counteracts all soreness from the soul. 2. The sweet cinnamon was noted for its hot, spicy, penetrating fire. How true this is of the fiery baptism of the Spirit, which melts and mellows and produces a Divine heat through all the interior organs. 3. The sweet calamus, noted for its sweet, spicy perfume, is typical of the sweetness and fragrance of the Spirit. A holiness that does not produce fragrance is lacking in something or is pitched on the wrong key. 4. The cassia was noted for its nourishing qualities. The Holy Spirit not only takes out all the pangs and soreness from the inner faculties, but He nourishes and strengthens all the graces of the soul. 5. The olive oil was used as a medicine. It was especially excellent in loosening stiff joints. How beautifully this typifies the Holy Spirit in softening and liberating all the mental and spiritual faculties. It takes all the stiffness out of one's manners and voice and brings out all the latent capabilities of the soul; it stirs up and brings out dormant gifts which we never dreamed we had. (1) This holy ointment was very costly. It cost the Author of Salvation His own life's blood-the agony of Gethsemane, the cruel mockery of the judgment hall, and five bleeding wounds of Calvary -- to give us the Holy Ghost. (2) It must not be counterfeited. There are many counterfeits today for the Holy Ghost. Thus human culture, fine music, elocution, pathos, oratory, with stirred emotions, have been used to imitate the Holy Ghost. But all these in comparison to the Holy Ghost are like a tame candle beside the blazing sun. (3) This holy oil was not to be put upon a stranger. The word "stranger" here has reference to the unsaved who are strangers to God. Jesus said, "I will pray the Father, and he shall give you another Comforter ... whom the world cannot receive." That means that the Holy Ghost as an indwelling companion can be received only on the condition that one has been born again. The Holy Ghost can only dwell in a heart that has been emptied and has a capacity for Him. (4) "Upon man's flesh this anointing oil shall not be poured." "Flesh" here means the carnal mind, which the Apostle says is "not subject to the law of God." The word "flesh" in the New Testament has a twofold meaning: sometimes it means the flesh on our bones, which we will have as long as we live, and which is not sinful within itself. Another term in the Greek is "sarx," which means the fleshly, fallen nature which is to be destroyed and put off. >From this we learn that no one receives the anointing of the Holy Spirit in His fullness except on the condition of cleansing and heart purity. Millions are ready to receive the Spirit providing there is no smashing of idols and no death to carnality. Tens of thousands of preachers are willing to seek and receive gifts of the Spirit (which are external), but they are not ready to die to the self-life in order to be sanctified wholly. Heaven's order is: first, purity; then unction and power. (5) This anointing, we are told, was "that they might minister unto the Lord." Even the Master never went forth into public ministry until He received the heavenly anointing at the Jordan. The disciples were strictly commanded not to depart until they be endued with power from on high. Woe unto the man or woman who goes out as a missionary or preacher without first tarrying. Oh, how easy it is to preach with the anointing. The brain works with an ease and swiftness, and the words drip with unction and power. The mistake of the past has been the substitution of titles, degrees, and culture for the baptism of the Holy Ghost who alone can make preachers. 1. The anointing of the leper. When the priest pronounced the leper clean, he was met and welcomed back to the camp under the sprinkled blood. Then the anointing oil was applied. The priest first touched his right ear, his right thumb, and his right toe with blood. Then the anointing oil was placed upon the blood. The oil did not come first but the blood. Calvary comes first, then Pentecost follows. There is a teaching abroad in the land which emphasizes the Spirit-filled life but denies the destruction of the sinful nature in this life. Let us remember that all scriptural teaching on the fullness of the Spirit is in connection with thorough cleansing as a condition for such fullness. See Psalm 51:10; also Ezekiel 36:25-27. One has said, "Those higher revelations and deeper teachings which discard the blood come from beneath." 2. The anointing of the priest. This was entirely different from the anointing of the leper. The priest was a dedicated, consecrated person. The anointing was to fit him for service and waiting on the Lord. This is beautifully unfolded in the books of Exodus and Leviticus. You will notice first that Aaron is anointed. Then afterwards, his sons were anointed. Aaron is typical of Christ who was anointed on the banks of the Jordan, and then later He shed the same heavenly anointing on His disciples. This alone will qualify us for the highest ministry known in the spiritual realm. This alone will fit us for the priestly service of intercessory prayer. It is only as we receive this anointing that we can really give ourselves to prayer. "Unceasing prayer is a praying spirit, and in the heart where He dwells there is unceasing prayer. His intercession is as constant as the fires of the sun. He constantly stirs and excites us to join Him in His intercession for ourselves and others." God is calling today for vessels of prayer through which He can pour rivers of living water to a thirsty, broken-hearted world. Oh, for men and women who will give themselves to intercessory prayer until revival fires are kindled, cold churches quickened, and the ministry fired and filled. Who will pay the price for Pentecost? 3. The ancient prophets were anointed. The Old Testament prophets were God's peculiar men. They lived in the supernatural realm. Their office was different from that of the priest. The priest lived mostly in the temple serving and waiting on the Lord and praying for the people. But the prophets roamed from place to place, dropping in suddenly on a wicked city, rebuking sin in high places, hurling thunderbolts of truth at some wicked king, then suddenly disappearing. The more we study the Scriptures the more we are convinced that God has supplemented this divine order in the New Testament by putting into the church pastors and evangelists. The pastor in one sense would take the place of the Old Testament priest in that he stayed with the people, ministering to them in the sanctuary and comforting them in their sorrows. But that of the evangelist is more like the prophets because he has a message that startles, arouses, and awakens the slumbering consciences of men. However, in delivering these piercing truths he must have the anointing or it will be the mere letter that killeth. How long will it take us to learn this lesson that preaching searching truths without the anointing oil of the Spirit will have a deadening, hardening effect? There is a class of ministers who seem to take great credit to themselves that they have stirred the devil and left the people angry; they skin, peel, knock down and drag out, and call that radical preaching. If we are not careful we will stir up more snakes than we can kill or devils than we can cast out. Jesus preached startling truths that wounded to the core, but He had the oil of healing to apply to every penitent sinner. 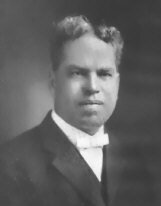 The great evangelist Sam P. Jones preached until men were cut to the very quick. He was like a general on a battlefield hurling shot and shell among the wicked, but the next moment he was like a kind-hearted nurse, binding up the wounds, pouring in the oil of healing. Even Jesus never entered upon His public ministry until He could say, "The Spirit of the Lord is upon me, because the Lord hast anointed me." If He, the Son of God, needed this divine anointing in order to minister to the broken-hearted and bring deliverance to men that were bound by the fetters of sin, may God help us, ministers and missionaries, to tarry, to wait for the promise of the Father, and not go forth until we receive this heavenly anointing. 4. The anointing of the Tabernacle. This is the climax of all blessings. We have the account of this in the fortieth chapter of the book of Exodus, verses 9-16. The Tabernacle had just been completed according to the divine pattern; every curtain had been hung; the little Ark of the Covenant had been placed in the Holy of Holies. The Tabernacle then was dedicated and laid at the feet of Jehovah and the Holy, sacred oil was poured upon it. Then the glory that had hovered over their camp and marched before them descended immediately, and the Shekinah glory took up its abode behind the second veil beneath the wings of the cherubim. so when we present our bodies a living sacrifice, holy, acceptable unto God, we too become God's temple and the sacred abode of His indwelling presence. Life henceforth takes on a new meaning. We go forth like the little Ark of the Covenant carrying the very presence of God within us. Such a life is heaven upon earth. 5. One more thought about the anointing: We find this holy oil in use in connection with the fine flour offered to God by the Jews as recorded in Leviticus, chapter two. This fine flour was mixed with this holy compound oil and frankincense. This has reference to Jesus. The Virgin Mary furnished the fine flour for His body, the Holy Ghost the oil and frankincense. Just as the oil was blended into the fine flour until it was soft and could be made into cakes, so the Holy Ghost works in and through us, mellowing and softening everything to the divine will and making our whole being fragrant with love, gratitude, reverence, and gracious disposition. "No consecration is complete without this unction and anointing of the Holy Spirit. The fruits of the Spirit are love, joy, peace, longsuffering, gentleness, and such like. These are the graces in which the Spirit manifests His presence and operations. These are the myrrh, cinnamon, sweet calamus, cassia, and olive oil which are to perfume and lubricate the fine flour which we bring to the altar of God." Beloved, if we find ourselves dry and lacking in the heavenly unction, oil, and gladness, let us tarry at the feet of Jesus until our whole being is melted and dissolved in love and our lives filled with fragrance, sweetness, and power.